Listen to "007 How To Turn Barter Into Cash" on Spreaker. 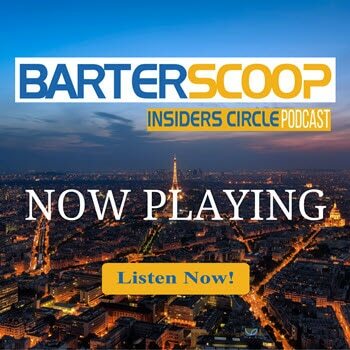 In this episode we explore one of our most requested topics “How To Turn Barter Into Cash” or “How To Cash Convert Barter Dollars”. Cash flow is one of a companies most valuable asset and what better way to improve it then by leveraging barter or trade. By understanding your margins and your true cost to trade, you’ll learn how to make cash converting barter opportunities work for you and your business. Also, if you haven’t already please take a moment to subscribe to our show get automatic updates. What’s the Best Barter Exchange to Join?